Tweaking to optimize for product search and product browse. Develop special strategy to deal with the missed out eCommerce Conversions using conventional textual search. Optimize the website to be more responsive to product search. Implement techniques to get over the keyword search limitations. It is believed that many that email address is the most important bit of information one can obtain about the customer. An email address can come handy in several marketing campaigns but is certainly not the most important piece of information. There are several other techniques that can be used to obtain details on the customer like customer registration, browsing data, purchase history, etc. 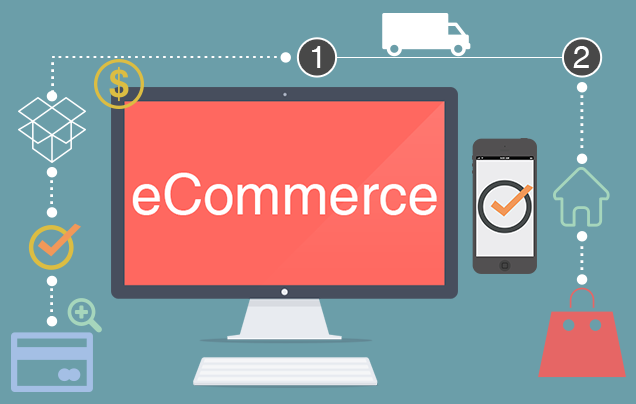 The eCommerce websites are designed and developed to attract the attention of as many customers as possible. They design banners and attractive popups to engage the customer and make them spend more time on the website. The golden rule being the more the time the customer spends on the website the higher are the chances of him making a purchase. Besides using the factual data from a customer’s profile it is also possible to use the statistical data that has been recorded. By analyzing the data like highest search terms along with variations and spelling mistakes and other similar statistical data it is possible to develop a more detailed profile of the customer. Such kind of profile created by the exploring of data can be implemented on the website to provide a more customized experience and even boost sales. A website can be designed such that it is optimized for product search. On an average an eCommerce website may have many visits. Some of these visitors may simply browse a category or click on a banner while others know their way around the website and hence navigate accordingly. The customer is now aware of how the search feature is working or what is the logic is behind the search. For a search to be successful the logic will need to assume two factors. The first being that syntax of the search needs to be correct, but that is not all, it should also have correct semantics. Every eCommerce website has different priorities when designing their websites. There is also a small percentage of visitors who take to the search bar as soon as they get to a website. This may be a small percent of visitors as less as 30 percent as per some studies conducted; but an eCommerce website cannot afford to ignore this behavior. There are many eCommerce websites that have been optimized for product search. Customer search online is different from what happens during a customer inquiry in a brick and mortar store. For an online store it is possible to learn from the customer searches and provide more insight into the search patterns of the visitor. While performing a product search on an eCommerce website the visitor often faces several challenges. The challenges are in the form of inappropriate results or irrelevant results and at times the search comes up with something with a similar name hence the search is wrong. Hence there are several techniques that can be used to narrow the search down and make the search results more accurate and useful. There are several other limitations. For example, if the visitor were to make a mistake while typing or simply misspell a word in the search box; then the search results will be all wrong. There are several workarounds in terms of implementing ‘Natural Language Processing’. The conversion rate of an eCommerce website is the most deeply analyzed topic when it comes to the digital marketing or SEO. This figure is rarely over 5% and almost never over 10%. Every retailer out there has a unique strategy and implement new marketing campaigns with the help of expert digital marketing agencies. This topic has already addressed, the big issue faced due to inefficient textual search. There are several new techniques and strategies that can thus be implemented to combat inefficient textual search. In addition to this there are several passive methods to increase the conversion rates. This includes semantic search results and ensuring the results are of interest to the audience that has requested them. Natural language processing (NLP) is the most obvious solution to many of the issues that have been mentioned through-out this article. Most of these issues are to do with searching. These issues are the basic human’s flaws since it often happens that the visitor may have a typo while performing a search thus resulting in wrong results. In addition to this, the issue can also be the fact that the visitor has entered a wrong spelling. If the mistakes made by the visitor result in listing the wrong search results, then it does not serve the purpose. NLP (natural language processing) is the perfect solution in such situation. This deals with issues of human error and helps your search algorithm anticipate that the visitor can make mistakes too. Alakmalak is a web development firm as well ecommerce web development company that has developed a large number of websites. They have developed great many eCommerce websites too. Their development expands several domains like footwear, jeweler, clothes, automobiles and more. Hence when it comes to eCommerce websites and implementing solutions pertaining to eCommerce websites, Alakmalak is the best choice.